> Products>Theology and Doctrine>Must Jesus Be Lord To Be Savior? What is a true Christian? What is the nature of repentance and faith? Is Lordship-salvation biblical or is it a distortion of the gospel given to the Church by Jesus Christ? When Jesus enunciated his conditions for discipleship what did he mean? Was he calling men and women who were already believers to a deeper commitment or was he setting forth conditions for entering the kingdom of God? Is lordship a denial or an affirmation of the gospel of the Reformation? To answer these questions the author examines the controversy surrounding Lordship-salvation in light of the teaching of Jesus Christ and that of eminent evangelical theologians from the past and present: John Calvin, Martyn Lloyd-Jones, Charles Spurgeon, John Stott, J.I. Packer, John Murray, A.W. Tozer, Charles Hodge, A.A. Hodge, R.L. Dabney, James Montgomery Boice, A.W. Pink, John Gerstner, Augustus Strong, Henry Thiessen, William Hendriksen and others. This book provides a definitive answer to the lordship controversy. First published in 1986, this work has been revised and updated. 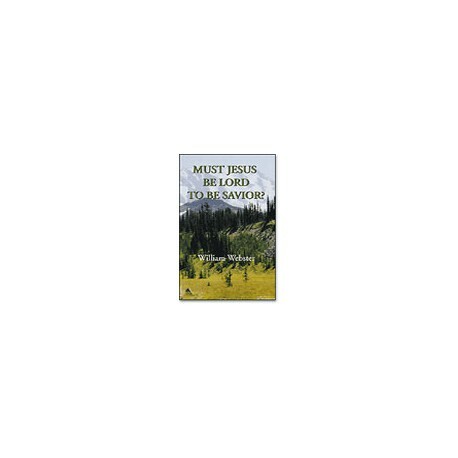 Listed in the bibliography of The Gospel According To Jesus by John MacArthur.